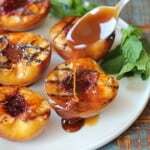 Grilled Peaches & Rum Caramel Sauce. What else is there to say? Okay, let me be honest with you, the caramel can be tricky. Here’s the deal, as the sugar / water cooks, it will start to darken a bit after about 5 – 6 minutes, keep an eye on it. If it’s darkening too quickly, lift the skillet off the stove (be careful, use oven mitts) and swirl the mixture in the skillet by moving the pan with your hands, not with a whisk. Take it off the heat just as it starts to turn amber, it will continue to cook after you remove it from the heat. It will turn dark quickly, this is fine, you just don’t want it to burn. You’ll know if it does. 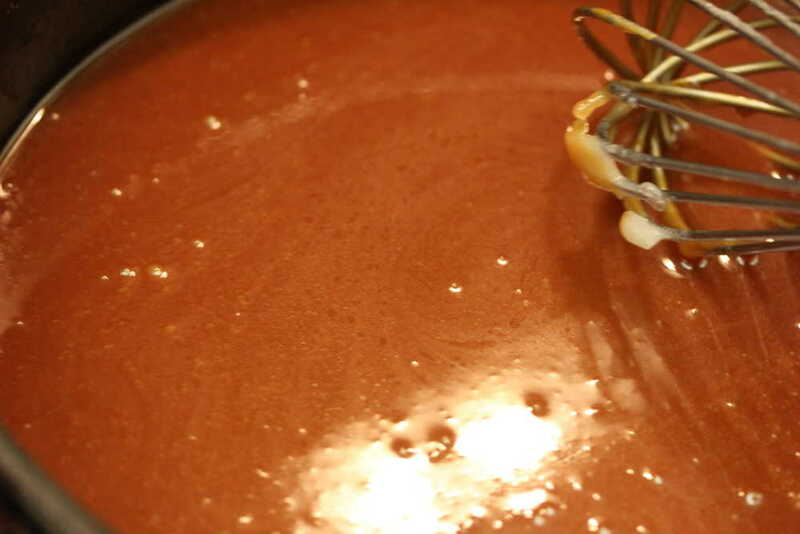 If it does, just start over, and remove from heat and start ‘swirling’ the mixture sooner. The final sauce, poured over the sweet and smokey peaches is something out of this world. Practice this before you serve it for the first time. 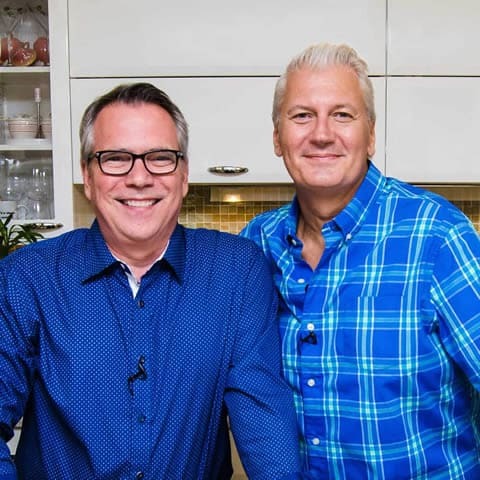 But once you get it, your guests will never forget what your served them! Remove from heat and swirl! Now add dark rum, salt and vanilla! Oil, grill and then add cinnamon sugar! 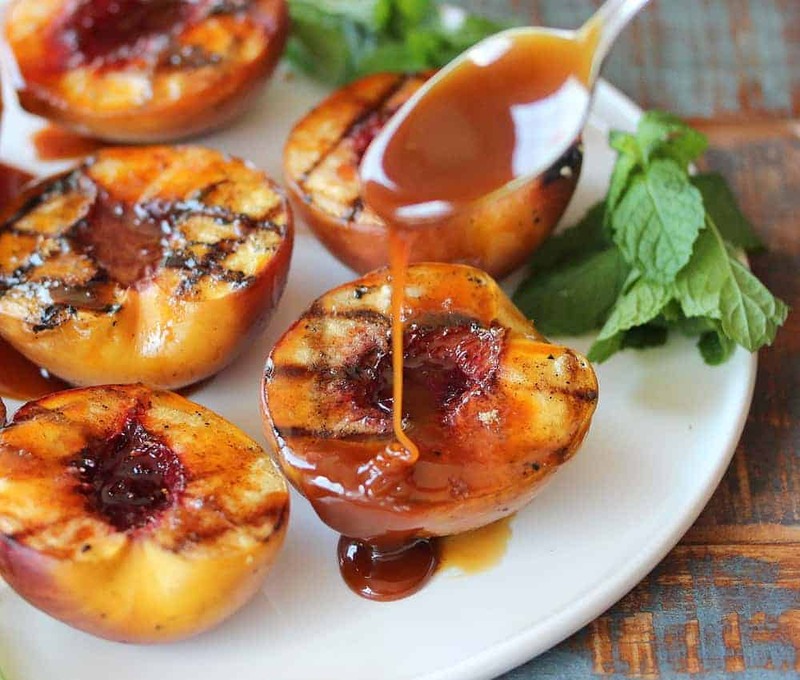 These Grilled Peaches & Rum Caramel Sauce are incredible. The caramel sauce takes special attention, and maybe even a little practice, but once you get it, these will be about the best dessert you'll ever serve. A little smokey, a little sweet, a little punch from the dark rum = pure delicious. 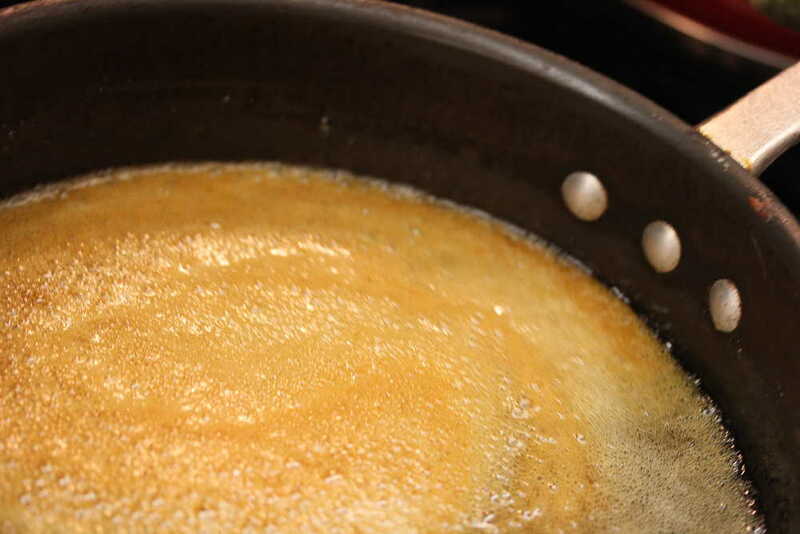 Mix the sugar and 1/3 cup cold water in a heavy-duty 3-quart saucepan and bring to a boil over medium-high heat. Cook, covered, checking occasionally, until the mixture starts to darken slightly, about 5 - 7 minutes. 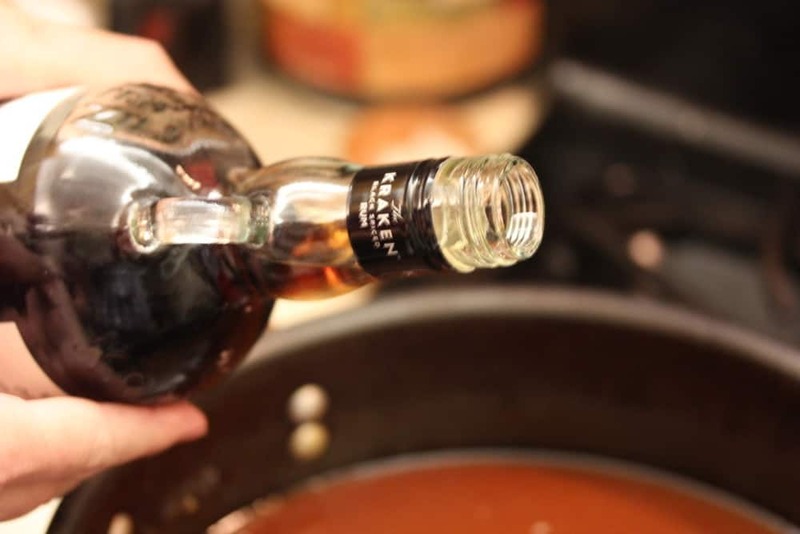 Immediately remove the lid and using your hands, swirl the pan frequently until it is a dark amber. Do not stir. This will happen quickly. Reduce the heat to low and carefully whisk in the butter. It will bubble. 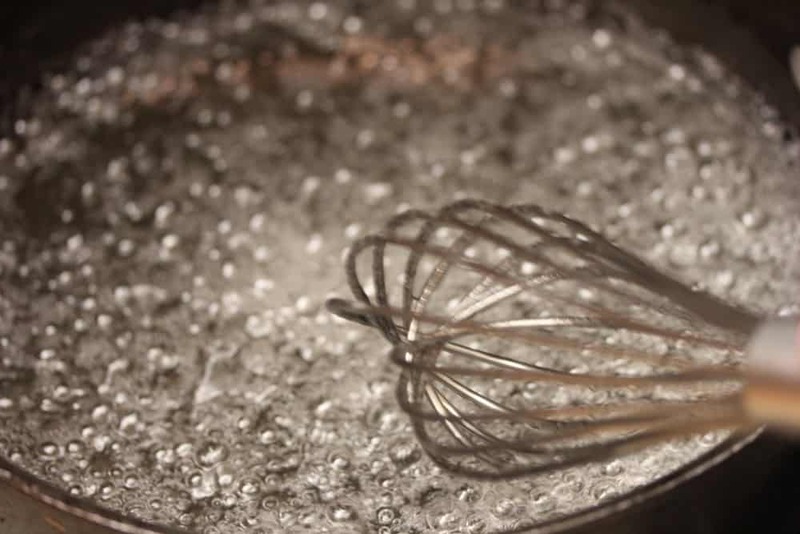 Keep whisking until the bubbles stop. Add the cream, whisking until the caramel is smooth, about 2 minutes. Remove from the heat and whisk in the rum, salt, and vanilla. Heat your grill to medium-high heat. In a small bowl, mix the cinnamon and sugar. 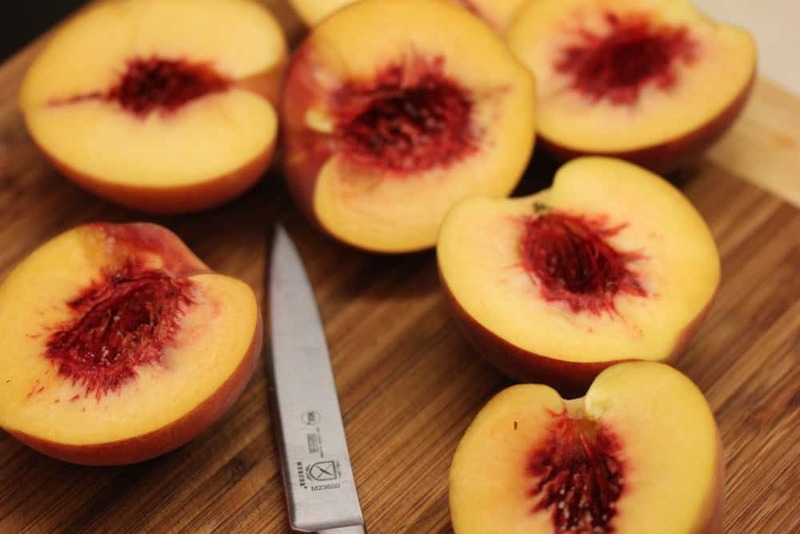 Brush the cut-side of the peaches with the oil. Place (over direct heat) on the grill, cut side down, for about 3 minutes. 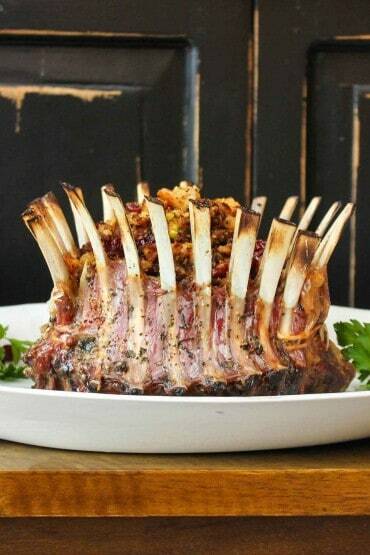 Rotate 90 degrees, and cook for 3 more minutes. Meanwhile, brush the tops with the oil. 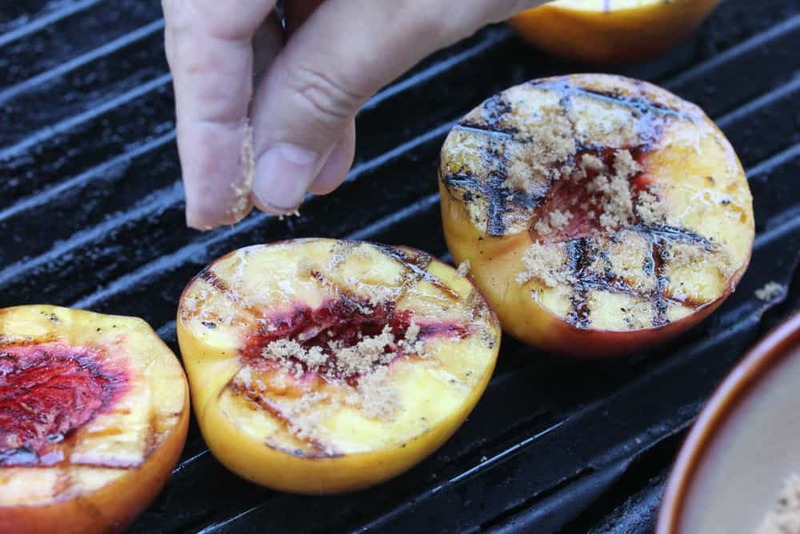 Turn the peaches over and move to in-direct heat. Sprinkle cut sides with cinnamon sugar. Cover grill and cook until sugar is melted and fruit is tender, about 10 to 12 minutes. Remove and place on platter. Pour Caramel Sauce over the top. Does the caramel sauce need to be used right away? Or can it be stored in the fridge and reheated for later use?